Marian Goodman Gallery is very pleased to announce an installation of new work by Giuseppe Penone, his first exhibition at the gallery since 1994. The show will open to the public on Tuesday, September 12 and will be on view through October 28, 2000. Gallery hours are Monday through Saturday, from 10 am to 6 pm. 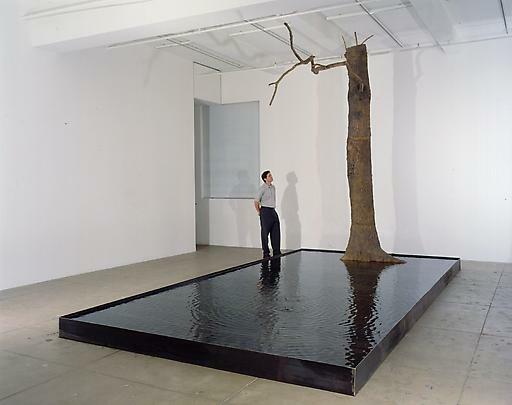 The Italian artist Giuseppe Penone has long been associated with developments in sculpture in the 1960s and 1970s and particularly with Arte Povera. Penone's art has always retained its own distinctive character, however, existing outside the idea of the city and of the experience of urban life. Of all the Arte Povera artists, Penone is distinguished by his interest in the interaction between nature and culture and the corresponding structures to be found in each. Penone's sculptures, drawings, and installations are based on conceptual processes and celebrate natural forms, which, whether in bronze, stone, or natural materials, retain a poetic, emotional, and sometimes ephemeral element. For this exhibition, Penone will create an installation in the North Gallery. Shown earlier this year as part of the La Beauté, Beauty in Fabula exhibition at the Papal Palace in Avignon, France, Penone's installation is now being seen in New York for the first time. Along one entire wall, from floor to ceiling, will be installed a grid of wire-mesh boxes, densely packed with laurel leaves and punctuated by a bronze sculptural elementÑa bouquet of bronze laurel leaves. 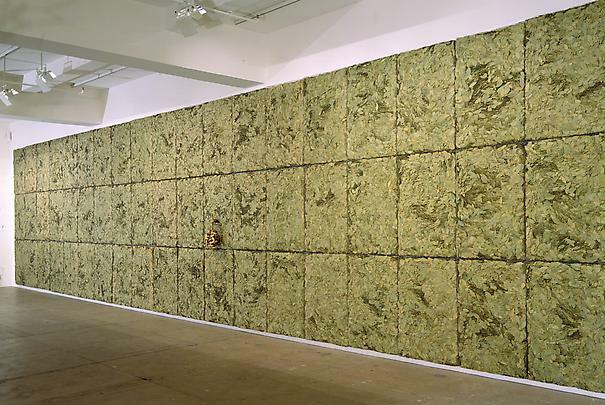 In addition to its visual component, the pungent scent of the foliage is an integral element of Penone's piece. In the center of the main gallery, the artist will present a sculptural fountain of a bronze tree with water dripping in steady droplets from its branches. Also on view will be a large bronze sculpture entitled Skin of Leaves. Born in 1947 on a farm in the village of Garessio in northwestern Italy, Penone has lived close to the land for much of his life. This knowledge and understanding of how nature "works" has always been central to the sophistication and nuance of its treatment in his art. 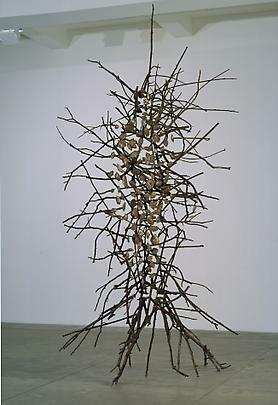 Giuseppe Penone attended art school in Turin, where he now lives. He has exhibited widely both nationally and internationally and has had solo exhibitions at such institutions as the The Museum of Contemporary Art, Chicago, Illinois; the National Gallery of Canada, Toronto, Ontario; the Centro Galego de Arte Contemporanea, Santiago de Compostela, Spain; ARC/Musée d'art Moderne de la Ville De Paris, Paris, France; The Stedelijk Museum, Amsterdam, The Netherlands; The Kunstmuseum Luzern, Lucerne; The Bonn Kunstmuseum, Bonn, Germany; the Museo de Arte Moderno, Buenos Aires, Argentina; and The Toyota Municipal Museum of Art, Toyota Aichi, Japan. Recently, his work has been included in La Beauté, Beauty in Fabula exhibition at the Papal Palace, Avignon; Le Temps Vite at the Centre Georges Pompidou, Paris; Enclosed and Enchanted at the Museum of Modern Art, Oxford; and The Italian Metamorphosis at the Guggenheim Museum, New York. This past winter, Penone completed a public project and commission for the Jardin des Tuileries in Paris, under the auspices of the French Ministry of Culture. Upcoming projects include a solo exhibition at the Stadt Pulheim, Pulheim.